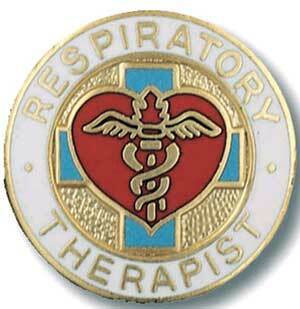 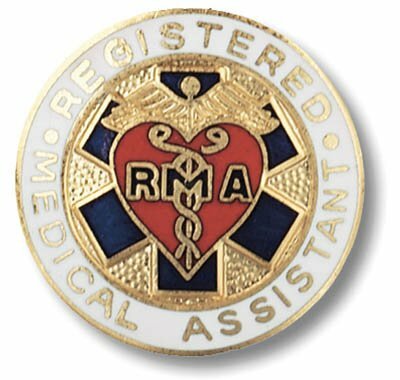 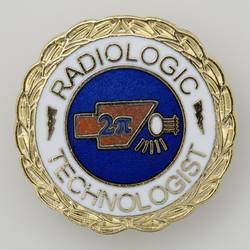 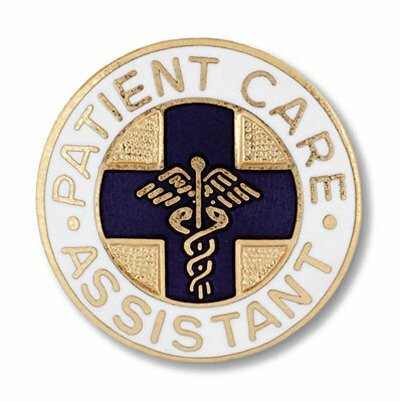 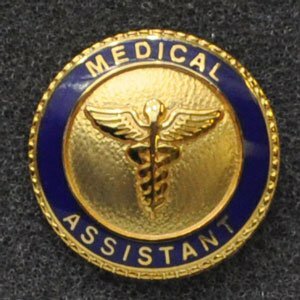 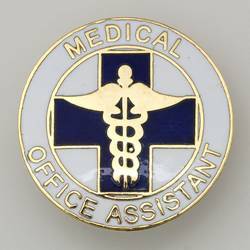 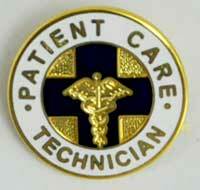 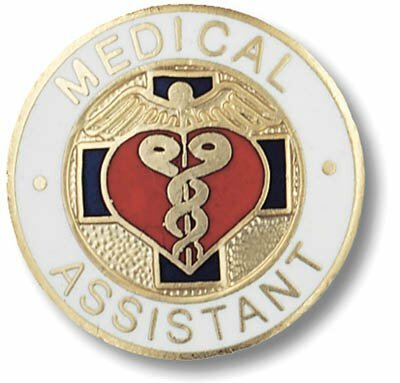 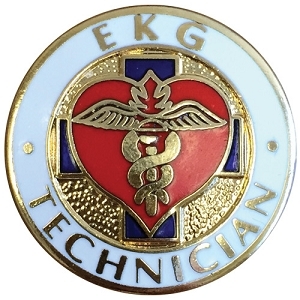 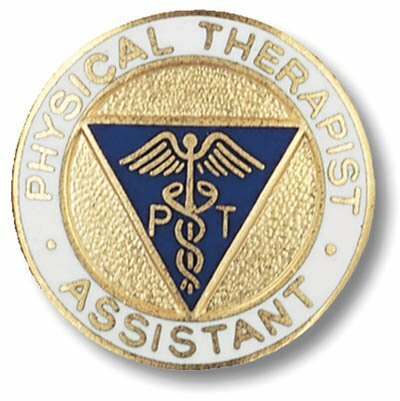 This Medical Office Assistant Pin is white Cloisonne with gold accents and letters. 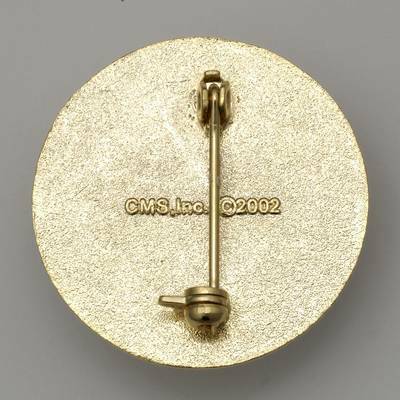 This pin stands 1" high. 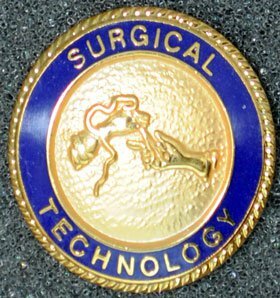 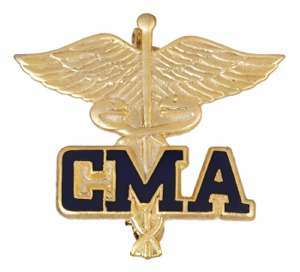 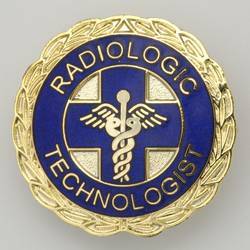 It features a polished gold Caduceus (Pronounced as "ca-DUCE-us") on a blue hospital style cross with a safety-pin style backing.